In order to build a new road, the Chinese government had to move a village of over 1000 people – two, however, said they would stay till the bitter end and didn’t leave. 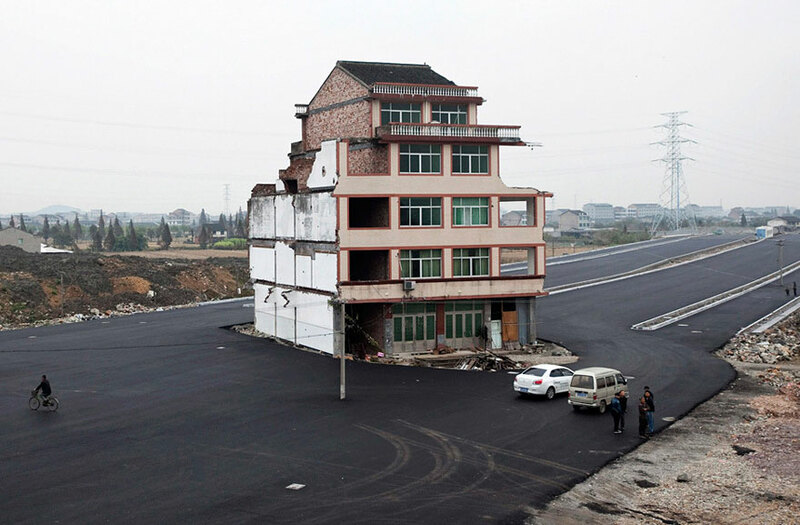 It wouldn’t be a big deal, only now their house stands alone in the middle of a new motorway of Xiayangzhang village in the province of Zhejiang. 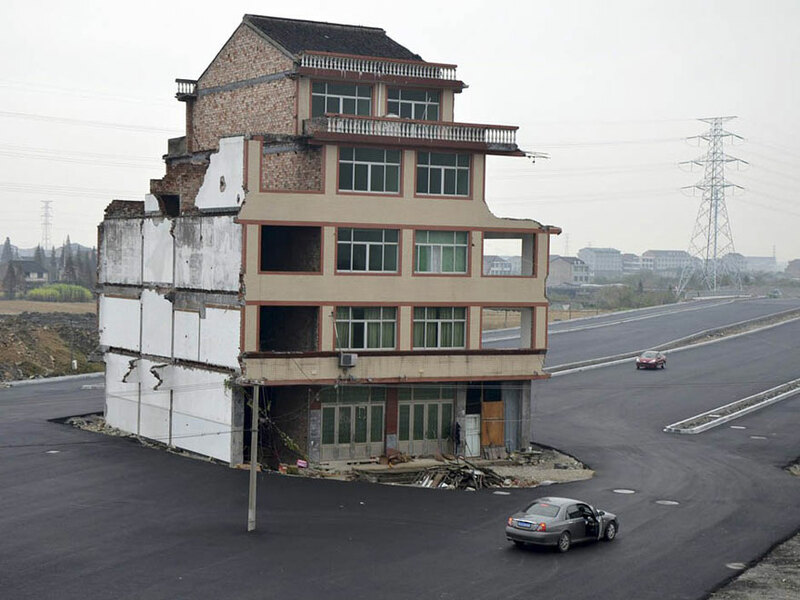 The phenomenon of a lone house that wasn’t torn down due to the constructions is called a “nail house” in China, referring to the image of an ingrown nail that’s painful and almost unable to remove. Luo Baogen and his wife, the only residents of the five-storey block of flats, explain that they won’t move because the compensation the government offers is not sufficient. 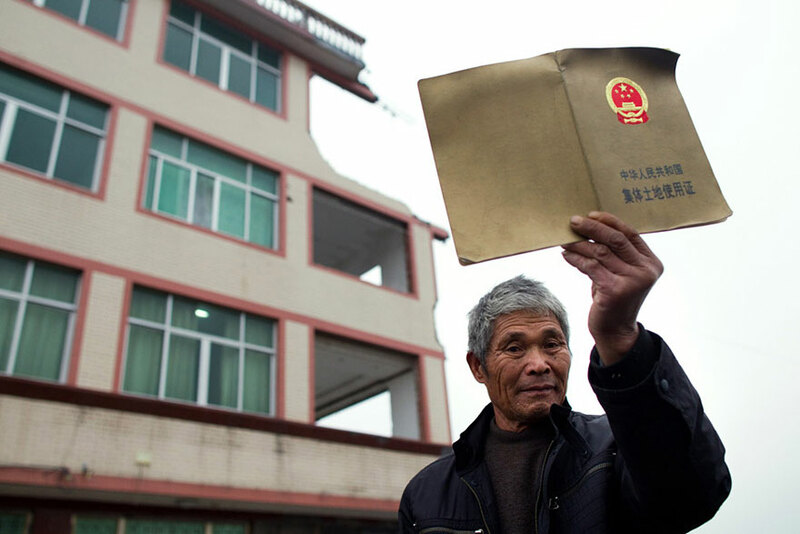 The farmer says he would move if the government offered enough for him to rebuilt a house elsewhere, but the standing offer of 260,000 yuan (US$41,573) won’t cover the costs. 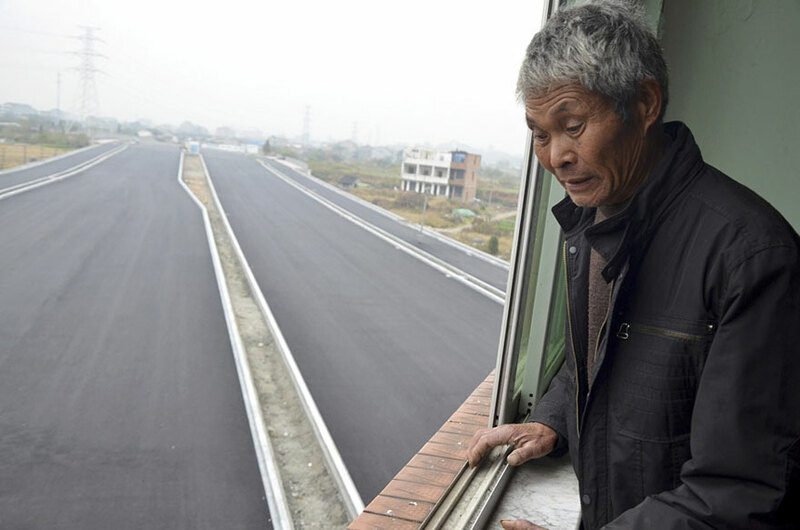 The road, leading to the Wenling Railway Station, hasn’t been opened yet, but with adequate supply of electricity and water, the farmer family seems pretty confident about their decision. Luo Baogen and his wife, the only residents of the five-storey block of flats, explain that they won’t move because the compensation the government offers is not sufficient.